After a day of rain, the clouds parted and a setting sun made the world sparkle. It felt like a sacrilege to stay inside. You just don’t ignore spring. Taking my camera for a walk along the driveway (I have a really lovely driveway), I ambled slowly, stopped often, and absolutely wallowed in the ecstasy of a warm, meditative walk with no mosquitoes. Deep breathing came naturally in this mood and in this weather. The air was delicious. 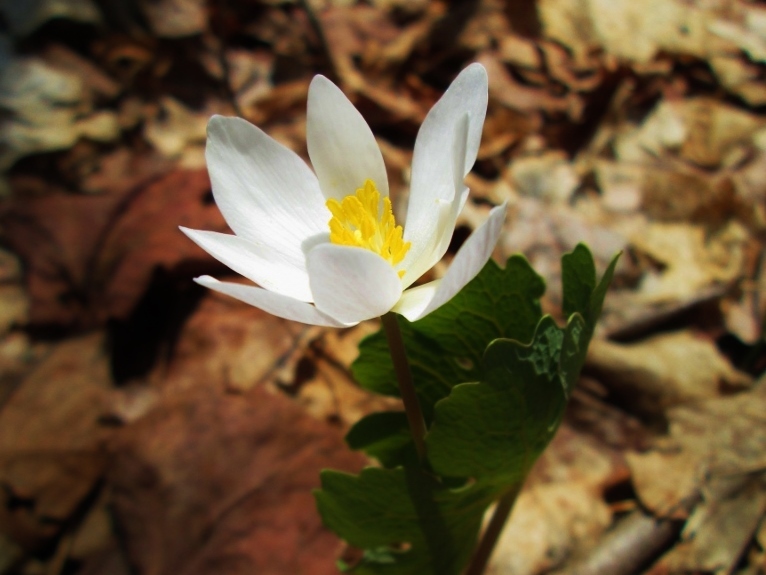 Damp soil, decomposing leaves, and that spicy essence of new life swirled around me so richly it was almost visible. But being visible isn’t everything. “The true essence of nature can be captured only by making use of all our senses, and the sense of smell is not the least of these,” wrote Lois Nestel in her infinite wisdom. As the first Naturalist and Director at the Cable Natural History Museum, Lois once shared her insights generously with newspaper readers across the state. I’d like to share it with you again. 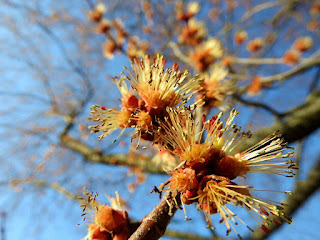 While the scents of spring are indeed lovely and worth noticing, the flowers of spring may occasionally outshine them. Lois wrote charmingly of these, too. Now is the time for tenderness. Deep breathing, slow walking, and (don’t take it for granted! ), a delightful lack of mosquitoes. Even through closed windows I could hear the rough quacks of wood frogs and the clear chimes of spring peepers rising from the wetland. A loon’s haunting wail echoed across the lake. Stars twinkled. No mosquitoes buzzed. And the temperature still hovered above 50 degrees. Perfect nights like this only come twice a year: in spring and in fall. Even though I had planned to head upstairs for bed, I paused at the front door, slid on my muck boots, grabbed a flashlight, and slipped out into the night. The air felt cool and fresh as I tromped down to the shore. No breeze stirred the trees. After I stepped out onto the wet sand at the water’s edge I stilled my body and opened my senses. Frog calls came in stereo from multiple wetlands around the lake. Actual ducks joined in the wood frogs’ quacking, and somewhere out on the liquid ebony, geese honked sporadically like kids settling in at a sleepover. As my eyes adjusted, the number of visible stars made the sky look foggy, although two pesky yard lights from across the bay really infringed on my night vision. After a few deep breaths, I switched on the flashlight and turned to go. The light caught on layers of brown leaves, just slightly suspended above the sand, gently rocking back and forth in the ripples caused by my rubber boots. And something zipped across the flashlight’s halo. Crouching down, I discovered a swarm of tiny swimmers, each less than half an inch long. Some wiggled through the water column, some zipped across the sand and leaves, and some froze in the spotlight. 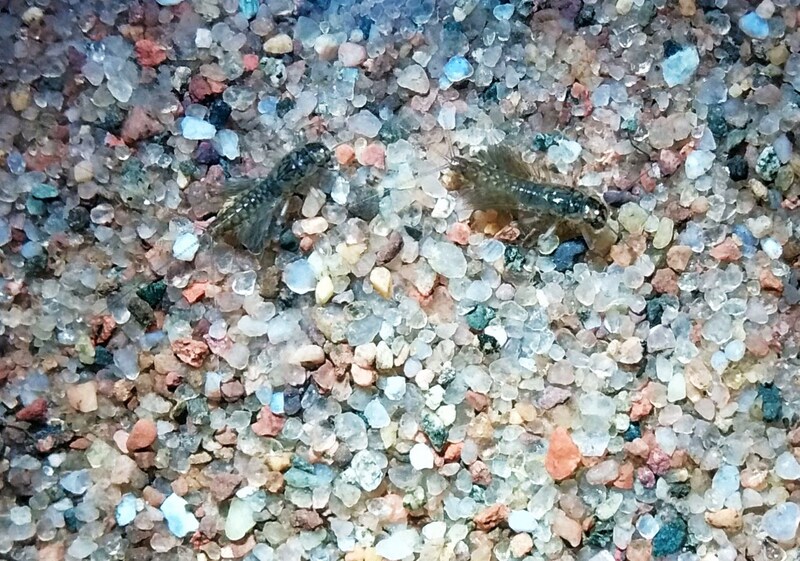 Enchanted, I watched carefully and tried to identify these little benthic macroinvertebrates. (Benthic = bottom dwelling, macro = visible without a microscope, invertebrates = no spine.) The swimming ones were just bundles of wiggling appendages. Then I finally focused in on one of the critters resting on the sand. Three thin tails spread out from the tip of its abdomen, and I could imagine them drawing a stylized letter M. M is for mayfly. This flock of little water wigglers will one day shed their exoskeletons and spend from a few frenzied hours to a few glorious days as winged adults. Mayflies belong to the order Ephemeroptera, which is named from the Greek words meaning “short-lived” and “wing.” And while it’s true that mayflies are short-lived once they have wings, their immature, flightless, aquatic nymphs can actually live for several years. That nymph stage is what swam through my light beam. Two antennae projected off one end. Three thread-like tails arched gracefully off the other. In between were three pairs of legs on the thorax, and two fringes of undulating gills, which were arranged in seven pairs along the abdomen. After hatching, mayfly nymphs may molt through 30 instars as they grow. Chewing mouthparts help them feed on algae and dead stuff. A few species predate on other, smaller, invertebrates as well. Some species of mayfly nymphs burrow into the lake bottom and billow their gills to stir up sediment. Not only does this allow them to filter feed on “periphyton,” (which is basically that scum of both living and dead things that coats objects in a lake), it also stirs up nutrients that phytoplankton and other critters can use. 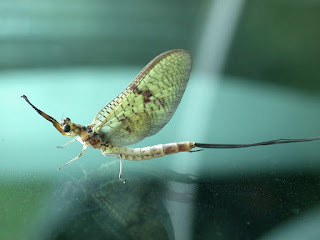 Their feeding habits make mayfly nymphs fairly sensitive to pollution. Acidification, sewage, pesticides, and industrial effluent are particularly harmful, and their impact on mayflies can throw the whole food chain out of whack. Algae might take over like weeds, and their fish predators may starve or just concentrate the pollution in their own bodies. On the flip side, the presence of mayfly nymphs can tell us that our water is clean without a lot of expensive tests. While mayflies may live for years in their nymph stage, their adult stage is what brings them fame. In several species, the emergence of adults is synchronized, in order to overwhelm all of their predators. The clouds—and drifts—of mayflies are sometimes visible on weather radar and can cause slippery roads. Anglers imitate them carefully. Mayflies are the only insects that have a winged, terrestrial, but not sexually mature stage. When a nymph reaches its final instar, it sheds it exoskeleton one more time. What emerges is a dull-colored winged creature who (usually) cannot yet mate. These subimago are both poor flyers and excellent fish food. After a few minutes to a few days, the subimago sheds its exoskeleton and becomes a brightly colored, fully functional imago (adult). As adults, mayflies resemble some of the very first flying insects. The long, thread-like tails that I used to identify the nymphs stick around in the adult form. Their clear, vein-riddled wings do not fold flat over their abdomen and are held upright while at rest. Mating is quick, egg-laying prolific, and death follows closely. I wonder how much longer this swarm of tiny swimmers in my lake needs to grow? Later this summer I’ll probably paddle through a scum of their shed exoskeletons and ephemeral, winged bodies. For now, I’ll just enjoy watching the wigglers on an otherwise bug-free night. Sunshine warmed our backs and a cool breeze filtered through bike helmets as we turned onto the pavement for a ride around the lake. Before we could get up a head of steam, Drew called back, “Did you see that butterfly?” In a flash my bike was on the shoulder, my phone was out with the camera turned on, and I was running back to where he pointed. I crept forward, struggling to discern the mottled brown underwings of a butterfly from the leaf litter. I must have gotten too close, because suddenly, in a flash of orange, white, and black, the butterfly rose and flitted erratically around a tree. My eyes darted along its wild flight path, and focused hard on the spot where it landed. Even knowing where I should look didn’t help. The butterfly’s wings melted into the gravel and leaves pushed aside by the snowplow. When I crept forward again, the butterfly startled and flapped its colorful wings deeper into the forest. I walked back to my bike. The elation of seeing my first butterfly of the year, combined with sunshine and a tailwind, inspired fast pedaling and a joyful ride. But a mystery gnawed at me, too. 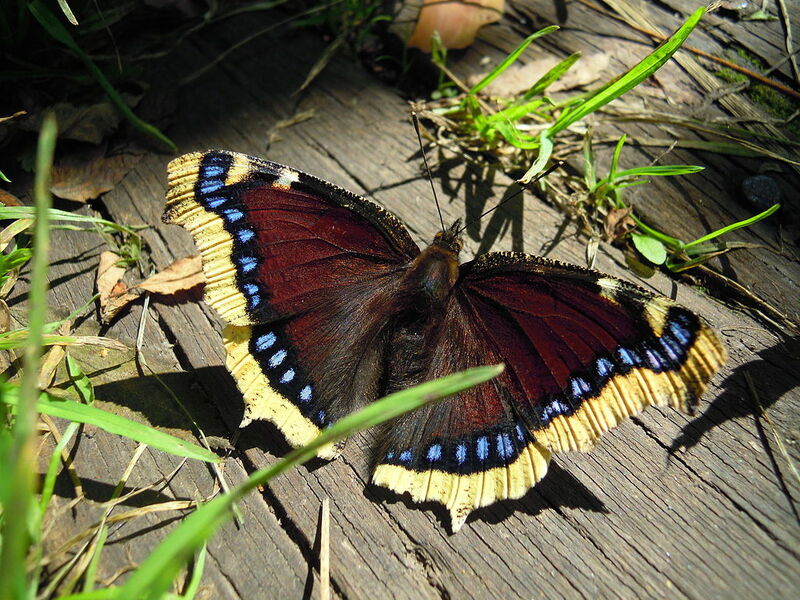 As far back as I can remember, Mourning Cloak butterflies have been the first to dance along on my early spring outings. Their deep-purple wings with yellow edging have brightened my day many times. Mourning Cloaks overwinter in the Northwoods as adults, I’d learned, and I was astounded that such a delicate thing could survive our harshest season. Just like wood frogs and spring peepers, they have the advantage of waking up right near their breeding habitat, ready to go. Paging through my Kaufman Guide to Butterflies of North America, though, I’d decided I must have seen a Red Admiral butterfly. What does it do in the winter? I realized that besides the Mourning Cloak and the charismatic, migratory, Monarch butterfly, I had no specific knowledge about how butterflies spend the winter. Happily, my Google search quickly turned up a wonderful document from UW-Extension listing the winter survival strategies of common Wisconsin butterflies. As with most things in nature, there’s no single answer. Butterflies can overwinter as eggs, newly-hatched caterpillars, mid-stage caterpillars (this seems most common), mature caterpillars, pupae, hibernating adults, or migrating adults. I also found a page on wisconsinbutterflies.org where butterfly enthusiasts post their most recent sightings. So far this spring, people have spotted Mourning Cloaks, Eastern Commas, Gray Commas, Compton Tortoiseshells, and Red Admirals. The first four species on that list all overwinter here as adults. As the autumn days shorten, antifreeze chemicals start building up in their body fluids. This happens for all the species who overwinter in the north, regardless of whether they chill as an egg, larva, pupa, or adult. 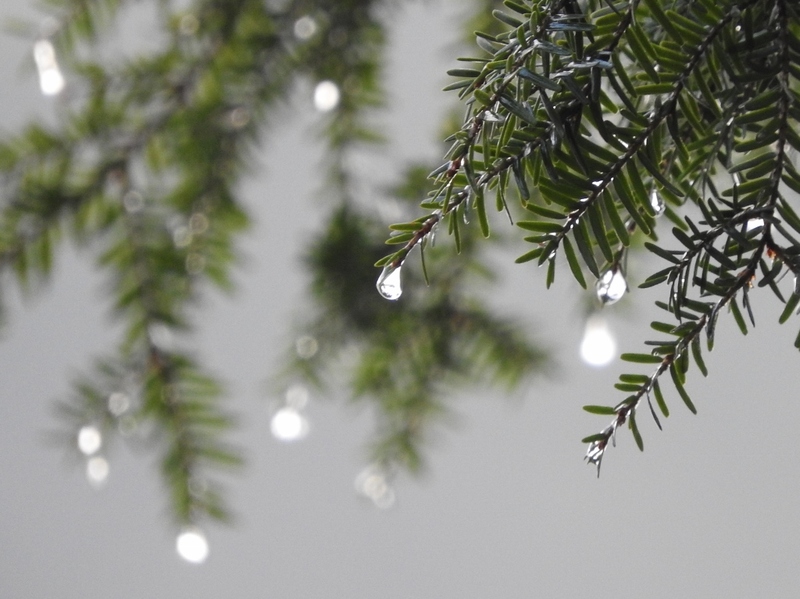 Glycerol prevents ice crystals from growing and rupturing cells, even at temperatures well below freezing. So the adults tuck in behind loose bark, into crevices, or beneath logs, to sit out my favorite season. In spring, these adults obviously have a jump on everyone else. They don’t need to hatch, or grow, or metamorphose. They are ready to go. By basking in the sun and shivering their flight muscles, butterflies can raise their body temperature up to the 80 degrees F needed for flight, even while I’m still wearing my warmest cycling gloves. Red Admirals, like the one I saw, may have a different tactic…or maybe not. At least in the southern parts of their range (which extends from Guatemala to Canada), adults and pupae hibernate. How far north they can survive the winter seems to be up for debate, and the line could be shifting. The parts of their range where Red Admirals don’t survive the winter must be recolonized each spring by migrants from the south. The UW-Extension document asserts that our Red Admirals fly back and forth from south Texas. 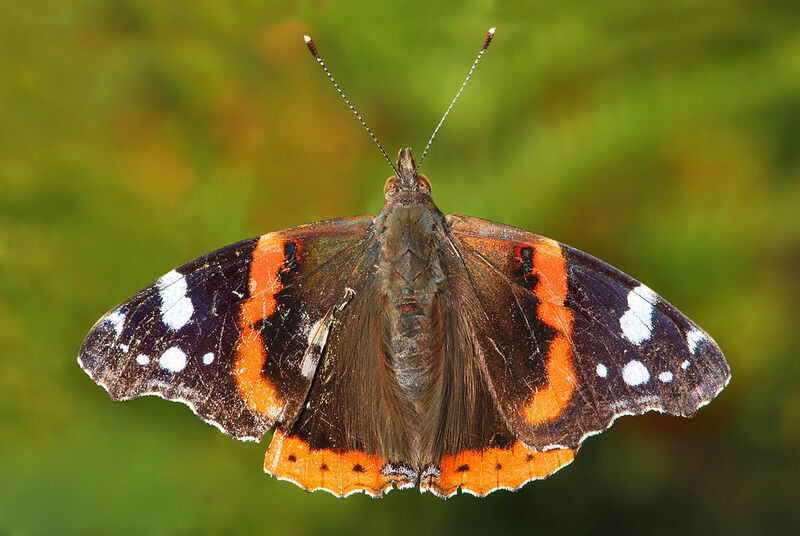 Over the summer, Red Admirals have two generations. The summer brood is large and showy, with brighter colors, and a coming-of-age in July. Those butterflies produce a smaller, drabber, winter form, which we can see from late August through the first frosts. Just like with Monarchs, the winter form, although flighted, is not reproductively mature. They have a metabolism that allows them to pack away fat stores for migration and/or hibernation. They’d better have some fat left in reserve when they arrive up north in April! I’ve seen flowers blooming, but only if you expand your image of a flower to include catkins, the miniscule petals on hazelnut bushes, and a few other tiny tree flowers. Early butterflies do not arrive to a beautiful buffet. As anyone with a sugarbush knows, though, sweet liquid is plentiful if you know where to look. Conveniently, Mourning Cloaks may actually prefer tree sap to nectar. With the early snowmelt, I’ve been road biking a lot. It’s been easy to go fast while the forests are still quiet and gray. If this butterfly (and the loons, cranes, ducks, and frogs) are any indication, though, my rides are about to encounter many more distractions! Driving eastward at dawn can be a breathtaking experience. On a recent frosty morning, I feasted my eyes on the world. 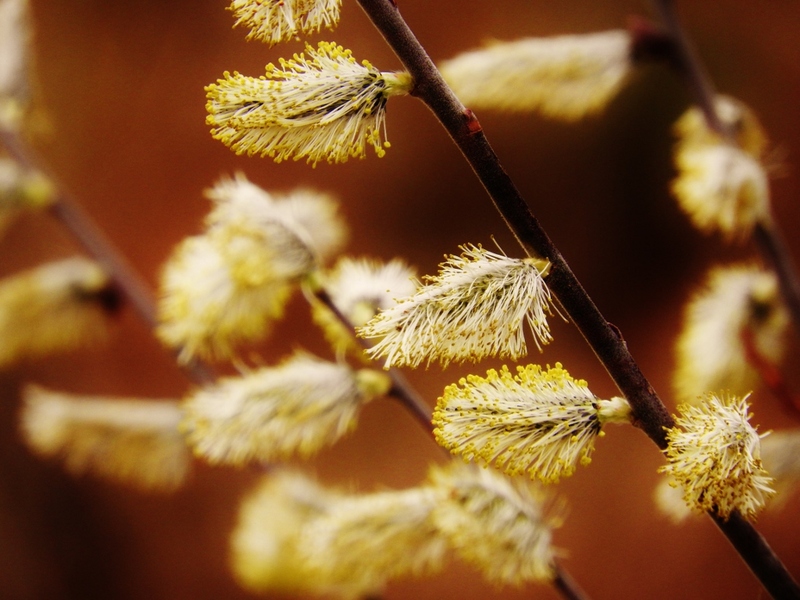 Every bare stick, brittle weed, and blade of grass was either encrusted in diamonds or set on fire. Of course, in the moments where I transitioned from brilliant light into deep shade, I held my breath against the possibility that a deer would jump through the juncture. The combination of beauty and danger was exhilarating and exhausting. So when I came upon a beaver lodge with every stick frosted and glowing, I decided that it was time to take a photo break. 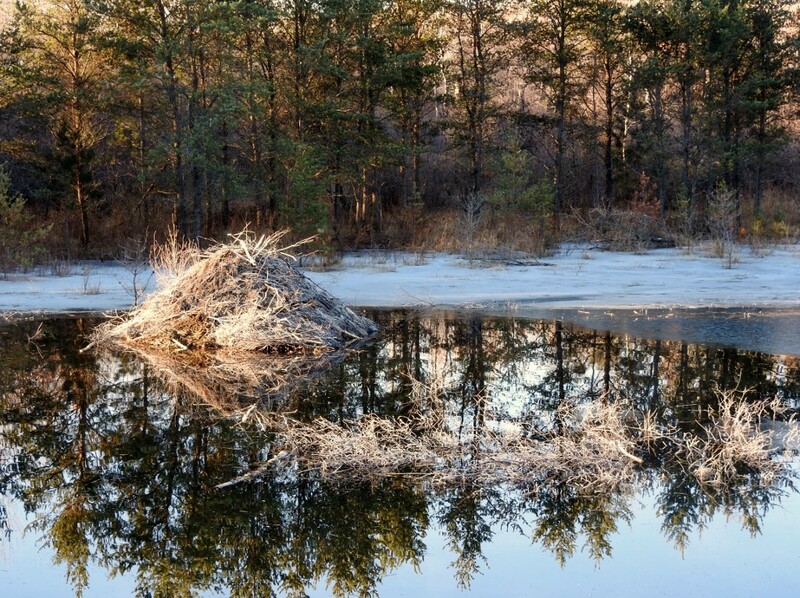 A clump of half-submerged sticks out in front of the lodge indicated that it had been occupied last fall, as the beavers were preparing their food store for winter. Beavers stay somewhat active all year and can access this food cache from under the ice. To maintain that liquid highway is one of the main reasons that beavers build dams. The pond behind the dam not only lets them swim closer to the trees, it also provides them with aquatic vegetation to eat all summer and creates an underwater world inaccessible to predators in winter. As I scanned the beavers’ pond for more photo ops, a ghost emerged from the shadows. Soon I could focus on the swan’s elegant neck, pure white breast feathers, and its rippling reflection. 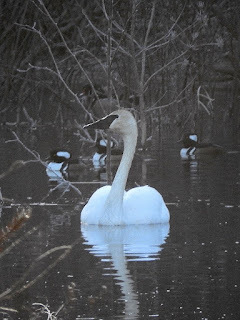 Charitably, the bird gave a low, nasally call, identifying itself as a trumpeter swan. They are hard to distinguish from tundra swans without the help of sound. Trumpeter swans are frequent residents of Wisconsin beaver ponds when they migrate back for the summer. The habitat is perfect. Like beavers, they eat a wide variety of aquatic plants, such as pondweed, wild rice, and algae; and they prefer shallow wetlands less than six feet deep. The tops of old beaver lodges also provide excellent nest sites for swans, who seek existing mounds surrounded by water and less than 600 feet from shore. Even though frumpy, brown beavers and elegant, white swans could hardly look more different, they are similar in more ways than just their habitat needs. 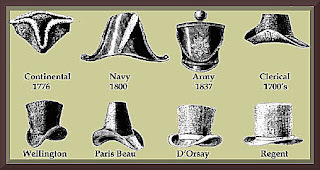 Beavers and swans also share a common history on hats. Beavers were plentiful across the Great Lakes region until the European demand for beaver felt hats led to extensive fur trapping. As it turns out, the structure of a beaver’s soft underfur allows it to make extremely strong and malleable felt when processed with heat and pressure. 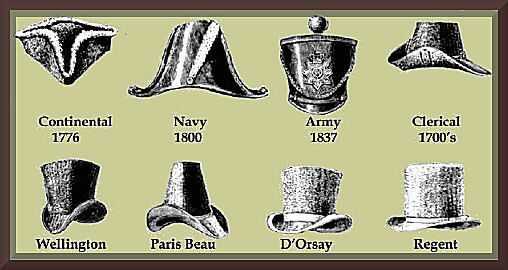 Felt hats were fashionable in Europe from 1550 to 1850, but the European, Scandinavian, and Russian beaver populations were trapped out by 1600. Explorers turned to the new continent for a steady supply of pelts. When logging and slash fires also entered the scene, beaver populations collapsed. Their numbers likely reached an all-time low in 1900. Beaver trapping seasons in Wisconsin were closed, and they began to come back in northern Wisconsin with the help of restocking efforts initiated in 1932. By the late 1970s, beavers had recovered enough to allow extensive trapping again. In fact, beavers have rebounded so well that they are now considered a nuisance by many, and long trapping seasons have begun to reduce their populations. The hat industry was tough on animals. 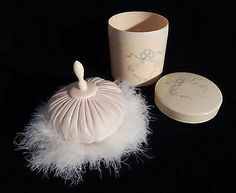 Swan feathers adorned fashionable hats, and were also used for ladies’ powder puffs, and writing quills. 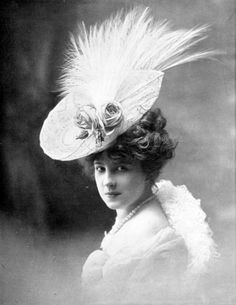 Fashion trends spurred extensive swan hunting from the 1600s until the late 1800s. By that time, the swans were almost gone in Wisconsin and across the country. The demise of beavers—and their habitat construction services—may have contributed to the swans’ downward trend. A small population survived in remote mountain valleys out west. Once they were protected, trumpeter swans slowly increased, and by the late 1960s, forty birds were reintroduced to Minnesota. In 1989, Wisconsin received its own batch of swans. Trumpeter swans recovered so spectacularly that Wisconsin removed them from the state endangered species list in 2009. And the population continues to grow. The 2015 population survey counted 4,695 individuals, up from 672 in 2010. That population increase is visible even to the unaided eye. I’m seeing swans everywhere this spring. They are flying over icy lakes; drifting down the newly-open water of the river; feeding in the sloughs; and emerging from the shadows near a beaver lodge. 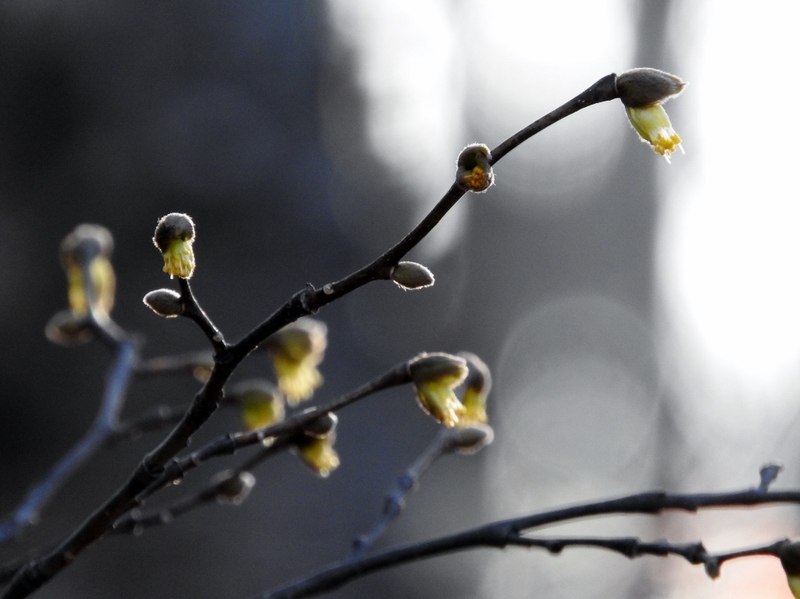 Emerging, it seems, from the shadows of near extinction into a sparkling morning of recovery. Swans on the Namekagon River this spring. The beaver’s recovery, while similar in many ways and just as dramatic, is less attractive to certain land managers. Still, beavers are incredible land managers themselves, and an uncountable number of other species depend on them for habitat. If we admire swans, then perhaps we should remember to appreciate the beavers as well.